More than half of the population in Richmond is of Chinese descent. The City of Richmond said it&apos;s trying to facilitate community harmony over a debate that&apos;s raged on for years — the uproar over signs some residents say use too little English. "We&apos;ve got an ongoing education program specifically reaching out to businesses to let them know the city&apos;s preference which is that signs should be at least 50 per cent in English," said spokesperson Ted Townsend. More than half of the population in Richmond is of Chinese descent, and over the years, some residents have expressed concern over signs that are only in Chinese. The business license renewal notice now also includes that message in a special insert in both English and Chinese. The city has also asked UBC students to analyze how other communities deal with the issue, and it will hold a community workshop next month. A city audit of signs found less than three per cent are actually in Chinese only. 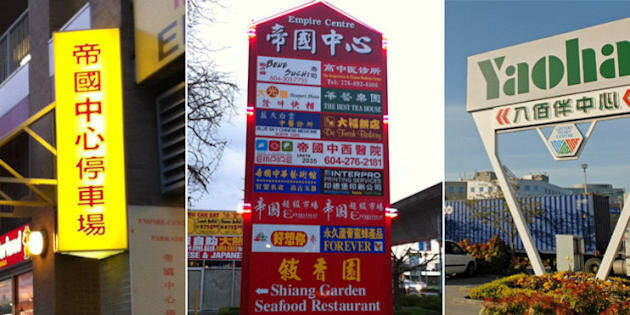 In 2013, Richmond city council voted against banning Chinese-only signs.